Part of the attraction of fictional super heroes like Cyborg and Robocop is their humble and innate human origins, which could have easily ended without the latest in technology. Some people troop to the cinemas worldwide because they are a bit curious as to how a half man and half robot might just appear in the future. Although creating a half human and half machine entity is still a pipe dream, the breakthroughs in technology, particularly in surgical implants are bringing everyone closer than ever to that almost impossible reality. While surgical implants have been around for quite some time, the options are not as varied and as customized as many would want it. One of the most popular materials used for surgical implants nowadays is titanium and its alloys. Because of its biocompatibility with the human body, most doctors go for these materials when substituting or strengthening a weakened or completely injured body part. However, titanium also has its limitations. For one, current technology provides little leeway in the manufacturing of these implants. They have to fit as precisely as possible wherever it has to be placed otherwise, it defeats the entire purpose of reinforcing or substituting a specific part. Also, with the current manufacturing process, it takes time to make changes on the surgical implants. Time is not something many of these patients have. There is almost no margin for error. 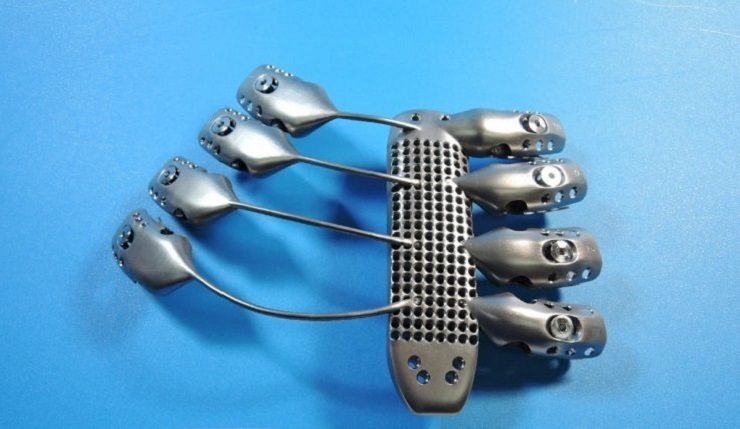 To address some of the limitations of the current fabrication of titanium implants, doctors and researchers from the Salamanca University Hospital in Spain have turned to the technology that is more than likely affect every aspect of the human life-3D printing. 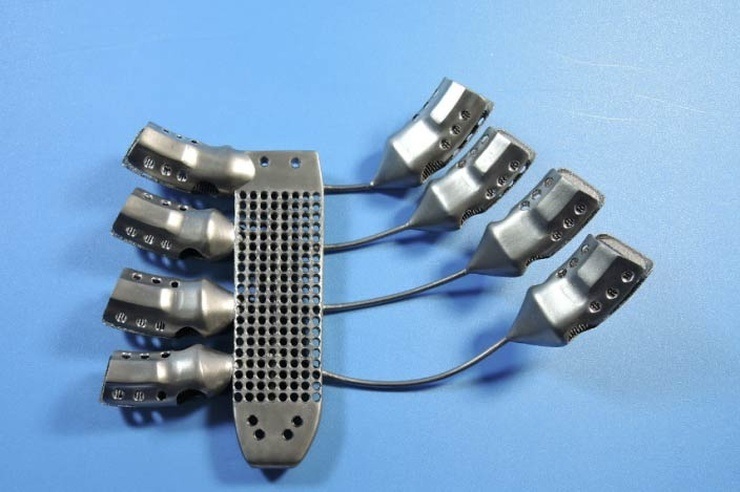 By 3D printing the surgical implants, it allows the medical team and the designers to customize the titanium implants with less trouble and effort than before. The 3D technology allows the user to tinker endlessly with the digital model anyway he wants to until he forms the object according to his specifications. Plus, the manufacturing of the titanium implant can be done in a relatively short time. 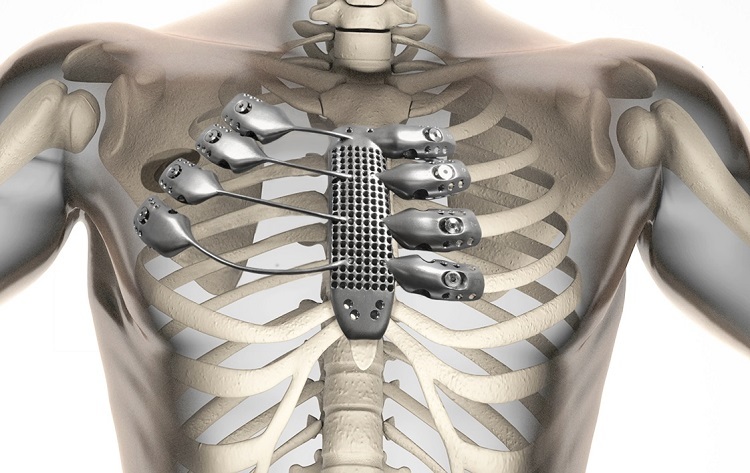 The idea of 3D printing a titanium implant stems from the case of a man who was suffering from a chest wall sarcoma. Since the cancer was already in an advanced stage, doctors needed to replace his sternum and a part of his rib cage. The process is complex to say the least so Australia’s renowned medical device company, Anatomics, was handed the almost herculean task of bringing to reality the ideas of the medical team from Spain. Using an Arcam 3D printer inside Lab 22 of the newly-opened Commonwealth Scientific and Industrial Research Organization (CSIRO), they successfully created the titanium implant for that 54-year old cancer patient from Spain. 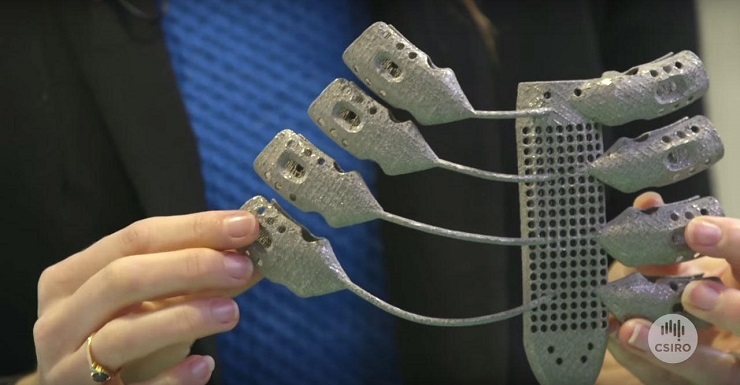 No less than the leader of Additive Manufacturing at the said research organization was on hand to show the video on how the implant is supposed to work, including a bit of an explanation regarding the design and concept of the 3D printed ribs and sternum. To complete this almost impossible journey from the realm of the possibilities to hard facts, the cancer patient successfully underwent the surgery and is currently recuperating.